This economically priced dc/dc converter offers three wide input ranges, including 9-18VDC, 18-36VDC, and 36-75VDC. It is best suited for telecom, process controls, battery backup, and other applications where tight line/load regulation is required. Voltage Accuracy: ±0.5% typ. 1.0% max. Dimensions: 1.27in. × 0.74in. × 0.4in. Notes: 1. Efficiency (%) measured at maximum load. 2. 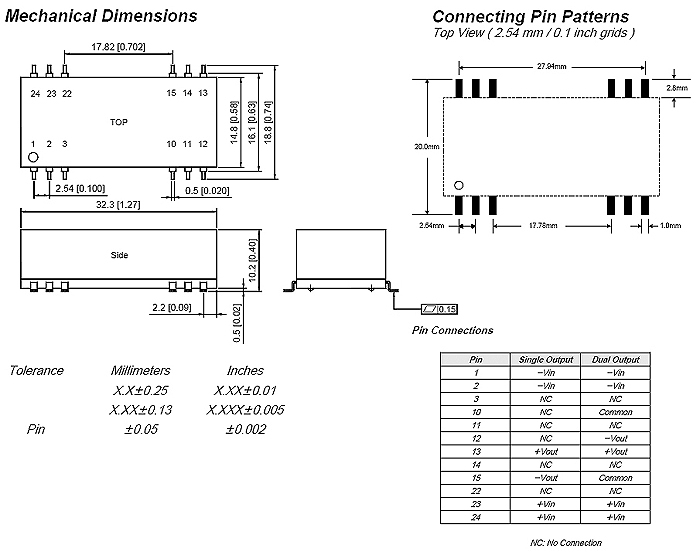 These converters require a minimum load to maintain specified regulation. 3. All dc/dc converters should be externally fused at the input side for protection, consult factory for more information. 4. Other input and output voltages may be available, please consult factory for more information. 5. Specifications subject to change without notice. 6. Operation under no-load conditions will NOT damage these converters however they may not meet all listed specifications under such conditions. 7. 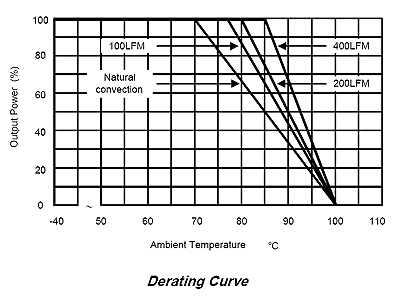 Transient recovery time is measured to within 1% error band for a step change in output load of 75% to 100%.